2. 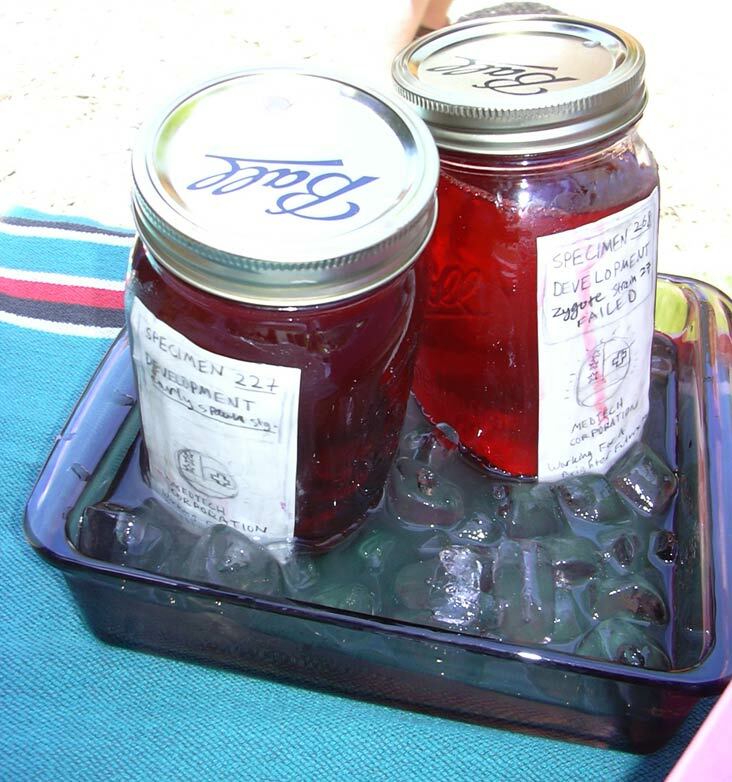 Mysterious Specimens* Filled with red gelatin, one has Maraschino Cherries, the other has a poached egg. 3. 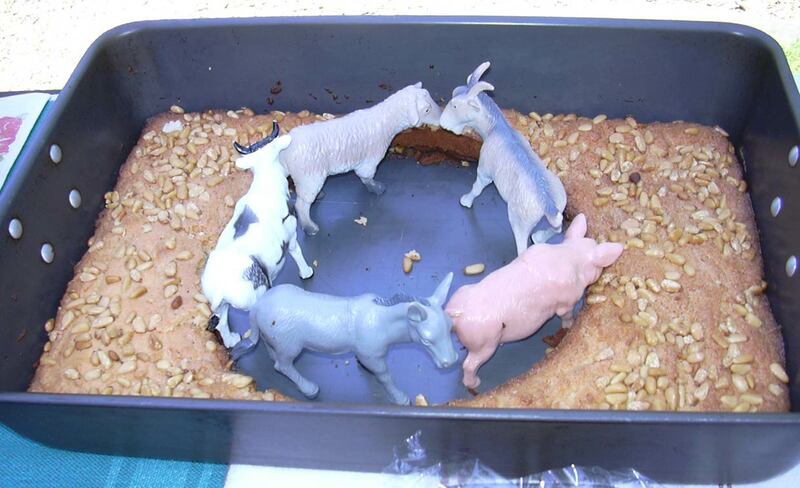 Pasture Uncake* With genuine plastic Farm Animals. 4. 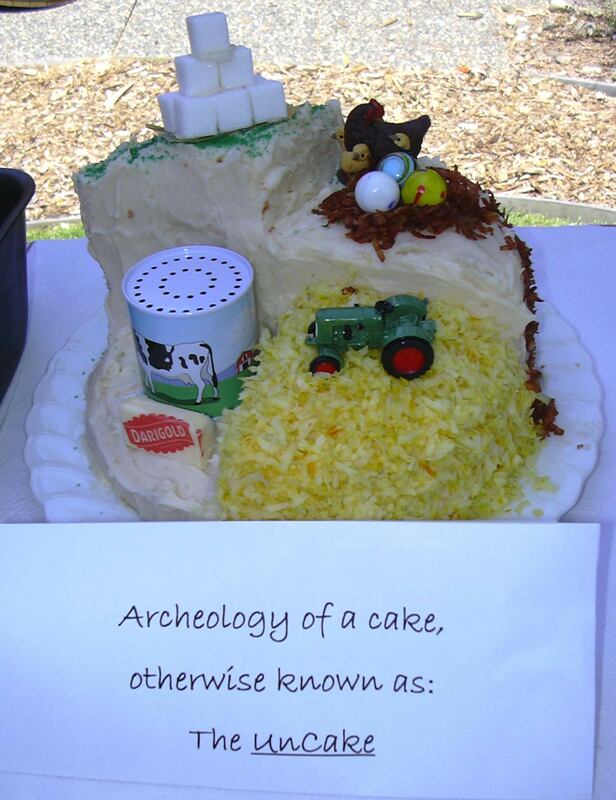 Archeology of a Cake* Contents of a cake: Sugar, Eggs, Flour, Butter. 15. Giant Fruit Tart (not pictured) Winner: Best Looking Arrived late, and I forgot to get a photo. Since I'm still recovering, I didn't eat anything (tempting as many of the entries were, but I probably will sleep a lot better tonight without the sugar overload). thrihyrne went with me as my Designated Eater, and she did a grand job of sampling things. It was also good to see BA, TJ, Dr. M and Dude M, and admire the new Chicken Coop (yes, they have Urban Chickens). Aside from the Not Eating Cake thing, it was a good time.